Successful Government contractors know how to consistently delight their customers. It's the most important principle in contracting success. Fulfilling a contract in an "ad hoc" manner can work, but it can only go so far. If you want to become a contractor with a protected program, who new Government customers seek when they have projects to complete, you need a systematic way to successfully deliver every project to every customer. These four words might seem like bland cliches when it comes to successfully delivering projects. Don't be fooled; not only do these terms refer to specific and effective processes to follow (crafted from decades of experience), they will make delighting your customer the natural result of your actions, rather than a nice ideal to aim for. In our blog we flesh out these four best practices in full detail, providing you Program Management templates, tools, checklists, and step-by-step strategies along the way to not only make you a better project manager / program manager, but help your company become the Government "contractor of choice" within your Agency. You take online courses to improve as a project manager, become a Scrum Master, or pay for PMP certifications, but just the difference between getting a degree and real world experience, you soon learn that experience improves your skills the most. Let us distill our experience into strategies and tools that will bring you success in real Government contracts. Meetings can literally be the bane of your project. You need a systematic way to transform your meetings into fast, enjoyable, and results-driven processes. So how do you put this best practice, Communicate, into action? What is getting in my way or impeding project progress? You can extract even more value from this best practice. On our blog we share how we use Scrum, there you can also download an email template to easily get a weekly Scrum-like report from your team. Every government contract comes with a requirement to keep your customer informed about the project's status. Status Updates are an opportunity to Remind your customer that you are their hero by ultimately making them look like one. It can actually be easy to regularly impress your customer through your regular status updates. A quality report takes a lot of time for a Project Manager to put together; so we've made it easier by sharing the template we use in our own contracts. Not only this, but you can read about the impact this type of status report has had in our own projects, in the full article on our blog. Most contractors see program requirements as an ending point – hit those requirements and you're doing your job and the customer will be satisfied. If that is the company culture for program delivery in which you find yourself, then that is what you will be able to say in your next IPR: “The contract said for us to do X, so we did X.” If you deliver a program that aims to reach the status quo, you can expect a status quo level of approval from your customer. Then you need to start with how your company approaches program management. So what is the approach that will turn hum-drum IPR presentations into your moment to shine? If you want to know more about these 3 Principles of Contract Fulfillment, which enable you to turn IPRs into a golden opportunity to shine, read more on our blog. If you're already convinced but just need some specific tactics on how to get there at your next IPR, here's an 8-step guide we've put together for you. If your program exceeds expectations, you gain two advocates: A) your Government customer, who will talk to others about the pleasure of working with you, and B) the end-user, who will be possibly more vocal about the product they appreciate and depend upon. Verifiable, enthusiastic testimonials are the most valuable kind of awareness you can have because they lead to the next two benefits. The value of high CPARs scores and a great working relationship with your Government customer cannot be overstated. But your relationship building must go further and deeper. You need to have a relationship with all of the stakeholders in your program, especially those who are the beneficiaries. If the end-user sings the praises of your program, you can be certain it also makes your Government customer look good. Even if those in power (in other agencies or politicians) underestimate the worth of your program, it will be protected because both your Government customer and the end-user will come to its defense in time of need. How can this product/service be better? What do you wish it didn't do? What do you wish this product/service could also do? What other needs do you have that are similar to the one this program serves? The answers to these kinds of questions will generate the knowledge you need to innovate & expand your program. These answers reveal not only what the end-user wants and needs, but what they are willing to buy. We're in the business of making our Government customers look good, and there is no better way to do this than by working together to serve their customers. Get the rest of the details about how to implement this best practice in this blog article, or read about the value its had for our own contracting in this case study. The above series was about the Four Best Project Management Practices for delighting your Government customer. We provided tools to make it easy for you to implement these practices, and shared case studies to learn and apply our hard-won experiences and increase your own contracting success. But even after this—even while following best practices—there are still significant risks that can hurt your project or personal success. These risks you should not only pay attention to, but know how to mitigate whenever possible. Too often a project's requirement are communicated by the customer contracting team in one way, but in reality there are unspoken / unknown requirements beneath those written in the contract. They may not be needs that run throughout the life of the project, but they are part of the requirements that the customer did not ask for or did not realize existed..
Government agencies operate in silos—the vast majority of projects have to deal with challenges inherent to this "siloed" environment. This means that your project has an impact upon, and is influenced by, people outside your customer and your area of influence. The distance between your customer and these outside interested parties can be quite wide, which can be difficult to overcome. What do you do when key elements of project management best practices conflict with security requirements? ► Read more about how to resolve all three of these challenges on our blog. The term Lack of Alignment is one way of describing a company that does not have a unified vision nor guiding principles to fulfill that vision. There are many ways a lack of alignment across teams can prevent you from successfully delivering projects, delighting your customer, and reaching personal goals, and in describing this risk factor, we will explore three of them. The most important question to ask in the context of this topic is: what are your company's goals for contract fulfillment, and what are your company's principles for reaching those goals? In our blog we look at how to resolve a misalignment and offer you our Program Health & Risk Assessment, to gauge how well-aligned your company is as a Contractor. No matter how good of a program manager you are, some factors will impact your success over which you have little to no control. Perhaps the biggest factor of all comes from within - your contracting culture and company leadership. We're sharing here three ways company culture and even leadership can hurt your program and personal success. When senior management keeps too much power or does not support the decisions their program managers make (or want to make), it creates project risks. 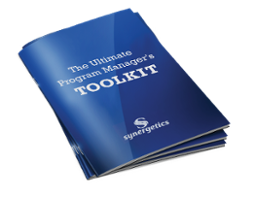 No one knows the needs of the program and customer better than the program manager, and no one has more stake in a successful program and a delighted customer than the program manager. In general, the more authority a program manager is given, along with personal success and failure tied to the program, the better results that program manager will produce. Most small businesses don't have a significant problem with internal bureaucracy slowing down their effectiveness and speed. But in a big company, corporate culture, silos, bureaucracy, and complicated reporting structures can make a program manager's life extremely difficult, with the result that program success becomes an ice-climb instead of a walk around the block. This principle is very simple, but when a lack of support exists in your company’s chain of responsibility, your project's issues are going to go unresolved or spiral out of control. A constrained (albeit experienced & well-intentioned) program manager is a big risk variable for a project… an empowered, supported program manager makes all the difference. Now you can read about real-life stories of competing priorities from our own Government contracting experience, or assess the amount of risk your project has due to competing priorities in the Program Health & Risk Assessment. Do you feel like you get punished for doing a good job? Sometimes when a project succeeds, the program manager can sometimes become a victim of that success. All too often, the more a program manager succeeds, the less he or she can use experience and skills to solve problems, and the more he or she must act as a cog in the wheel of expansion. The program manager gets spread thin (trying to complete new tasks outside his or her areas of strength) and gets discouraged because success in the new role is less fulfilling. He/she wasn't dreaming of making operations an incredibly efficient machine, enabling the company to healthily expand; instead he or she had dreamed of solving real problems alongside their customer. What if your business development manager successfully leads the company in growth, but due to a lack of reflection and the necessity of getting business done, ends up in a program manager role instead? If a program is expanding and a technical program lead is being forced to manage more operationally, then look to move that person back to doing what he or she does best, and to bring in a person with an Ops skillset to take over the program manager role. In the article on our blog, you can learn more about how to manage change in a project, and we share 6 ways to avoid or fix role incongruity. 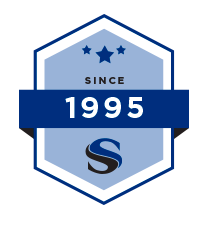 We created these tools to make it easier for you to exceed your customers' expectations. 1. A template to help you easily create highly professional project status updates. 2. A checklist to turn your IPRs into reputation-building opportunities. 3. 10 tips to make the transition to ISO 9001:2015 as easy as possible. 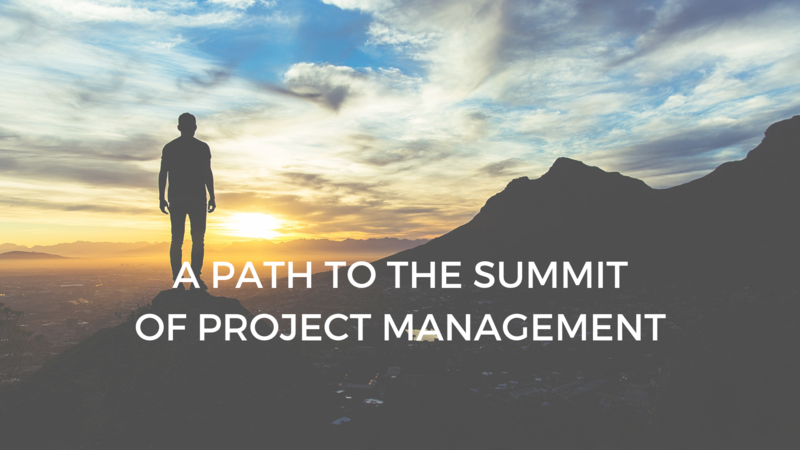 4.The ultimate guide to succeeding in Government Project Management. Costs were always below or within budget at all times; contractor even suggested ways to streamline and cut costs - amazing! They are consistently ahead of milestone completion times; production and processes never missed a deadline! Contractor is always focused on how to control costs and maximizing the best cost effective solutions to the government. In a potential budget shortfalls the contractor even offered reduced cost structure to help [us] meet our budget goals and limitations. Contractor team is outstanding and provides some of the best response times and customer service I have experienced from contractor staff.